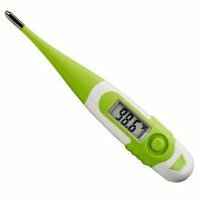 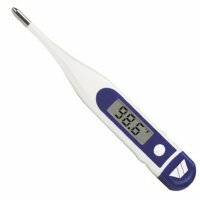 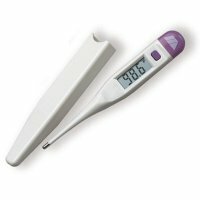 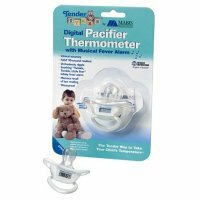 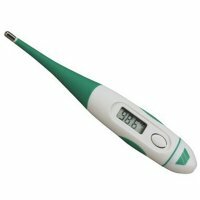 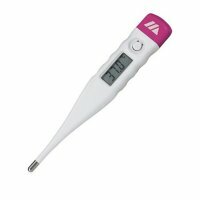 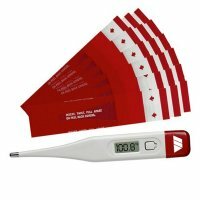 Digital Thermometer - Probe / Infrared, digital and easy to read thermometers and accessories provide an accurate way to get a reliable and quick reading when you or your family are sick. 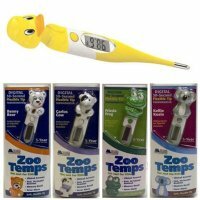 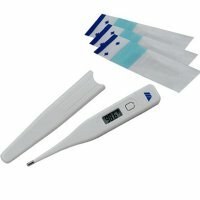 Choose from an assortment of digital thermometers, oral, rectal, forehead, ear, pacifier or under the arm options and accessories to fit your needs. 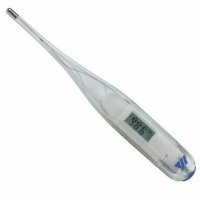 Our thermometers offer a fast, 10 to 60 second readout in either Fahrenheit, Celsius or both. 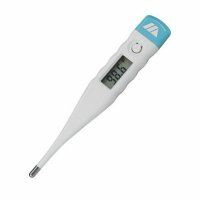 Many feature beeper function to indicate peak temperature, memory recall of last reading and auto shut-off feature. 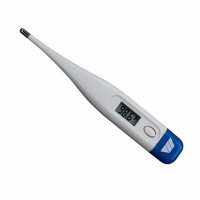 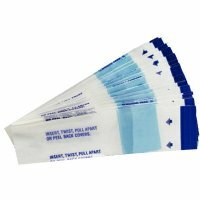 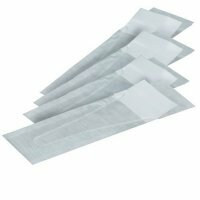 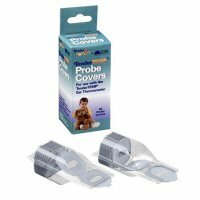 Our assorted thermometer probe covers are a safe and convenient way to help provide a sanitary environment for the patient, as well as the healthcare provider. 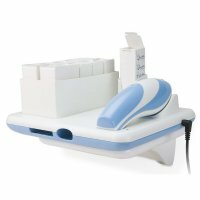 Always staying ready and prepared is easy with our Replacement Battery Pack for V Temp Pro. 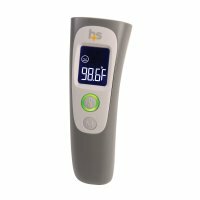 HealthSmart Infrared Forehead Thermometers deliver clinically accurate temperature readings in seconds without skin contact.